CAMP LEATHERNECK, Afghanistan – Defense officials and military observers alike have jokingly referred to the Marine Corps’ regional command here as “Marine-istan,” a nod toward the thousands of Marines deployed in the region. There’s a significant division in the two provinces that make up the area of operations, however. When Regional Command-Southwest was established in spring 2010, Helmand province was home to a muscular insurgency, while sparsely populated Nimroz province was relatively tranquil. Two years later, Nimroz has continued to progress. Nestled in the southwest corner of Afghanistan along the Iranian and Pakistani borders, Nimroz doesn’t require the heavy sustained presence of coalition forces. Transition to full Afghan control is well underway, and there are no Marines deployed there on a full-time basis, said Maj. Ethan Harding, who oversees Marine civil affairs in the province for I Marine Expeditionary Force (Forward). It’s a striking contradiction with Helmand – and one that may bear studying in the future, as the Corps assesses lessons learned in Afghanistan, Harding said. “Nimroz is an interesting case, and I think it’s one we’ll be looking at in the schoolhouse in 20 years,” he said. A tank officer by trade, Harding offered us a brief on Nimroz here on Wednesday. It seems fair to call it the forgotten province in RC-Southwest, considering the massive commitment in time, treasure and loss of life that Helmand has demanded. A variety of development projects in Nimroz are underway, including an effort to bolster border security with a new checkpoint and biometrics in Zaranj, a town of at least 50,000 people that serves as a key crossing point into Iran, Harding said. The Afghan National Army and Afghan Uniform Police also have reined in banditry and insurgent violence along Highway 9, a key route that stretches between Zaranj and Delaram, a crossroads town near the borders of Nimroz, Farah and Helmand provinces. 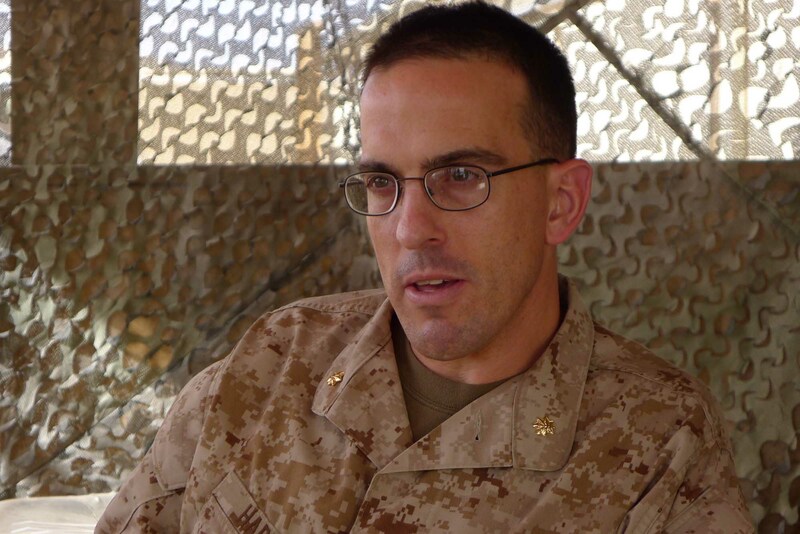 Top officials in Nimroz continue to work with Marine officials and have sought modern training when asked how coalition forces and the Afghan government can help, Harding said. There are several key reasons for the differences between the provinces. Although Helmand is made up almost entirely of Pashtun people from rural areas, the majority of Nimroz’s population is Baluch, a more progressive ethnicity also found in Iran and Pakistan. The Nimroz provincial governor, Abdul Karim Barahawi, is “essentially the leader of the Baluch” in the province, Harding said. The governor carries significant street credibility as a former mujahedeen fighter and helped oust the Taliban from its position of power in the province within a few months of the U.S.’s initial invasion of the country after 9/11. you know what: today is 08 January 2013 i am writing this comment while meantime we have 11 nimroz government directors assigned by Kabul mvarious ministries from Farah province. all 11 directors are from Farah.is it called justice? are we Baloch people that much uneducated that cant hold of these posts? isnt there any other province in Afghanistan that can send us the well educated personals? just Farah. becasue the governor is from Farah so he want every body from his own province on the important posts.